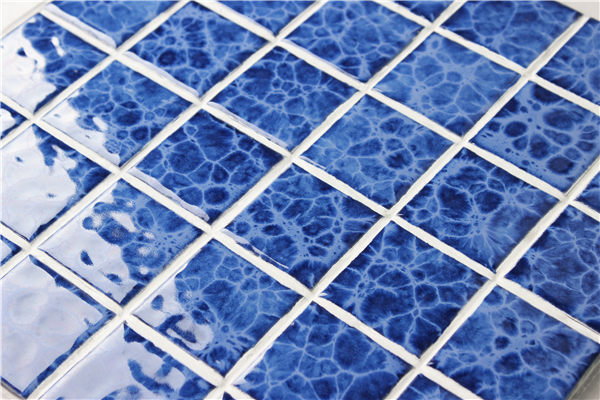 1x1 inch blossom patterned crystalline glaze porcelain tile makes easy design for your pool. Use it in the bottom or for waterline pool tiles. Its dark blue color fits in almost any pool. 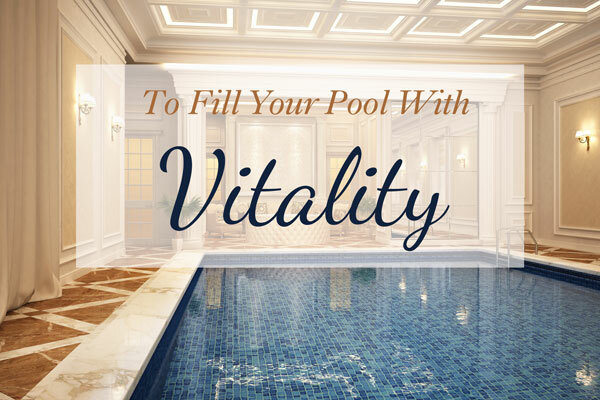 The blossom textures under the glossy surface gives your pool a fresh and inviting feel. Available in pure dark blue, pure light blue and mix blues. It’s also available in a bigger tile size: 2x2 inch. Bigger tiles create more visual impact. And you can see the patterns more clearly. A blossom-inspired and vivid color variation in dark blue and light blue tints makes it an outstanding product. Used in a high end indoor swimming pool, the repeating blossom effect in blends of blue and dark hues makes the pool look deeper than it really is. The lights around stand out the pool and make it inviting. 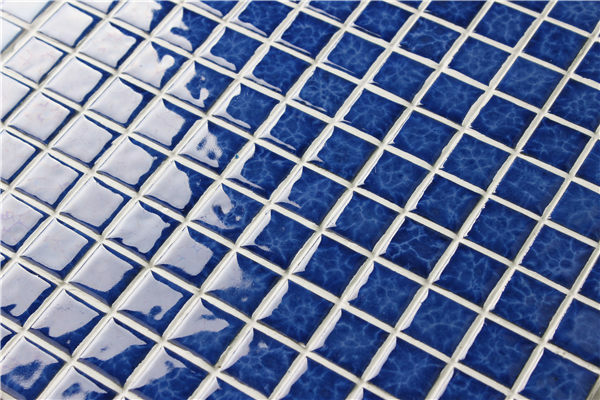 This crystalline glaze mosaic is a perfect candidate to complete the pool design for the pool in a luxurious home or a high-end clubhouse. 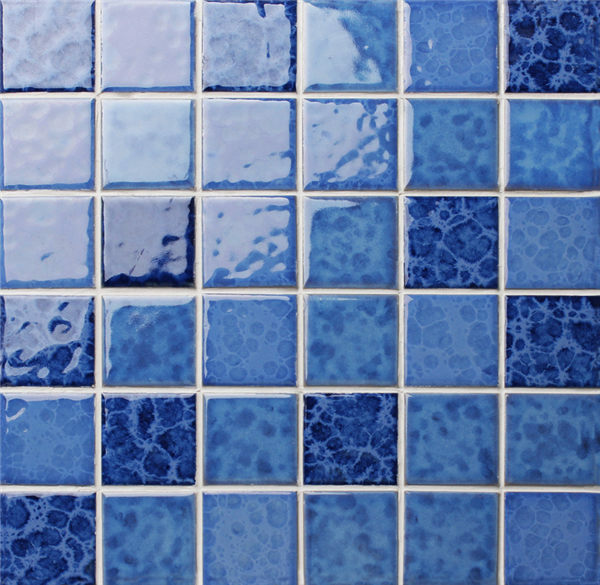 Achieve classic while also keeping things interesting with these 2x2 inch crystalline glaze pool mosaics. 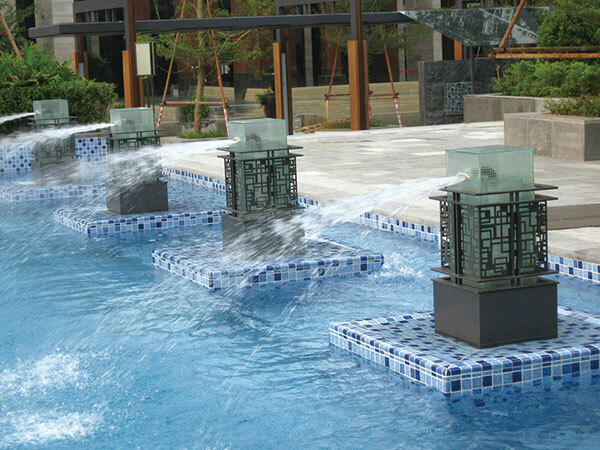 Using them for the waterline pool tiles and the little jetting platforms in the pool makes it playful and eye-catching. 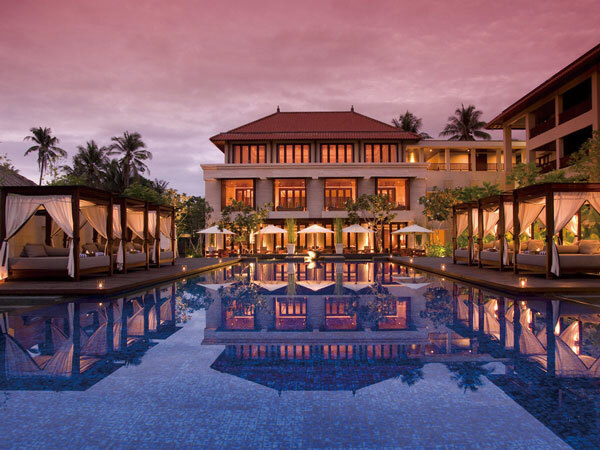 In the evening, this unique crystalline glaze pool tile creates a mysterious ambiance in the lights, making the mansion beside the pool look even more majestic, especially when the pool is outdoor and it’s not completely dark yet. And if the water is clear enough, you can even see the refracted tile textures in the pool bottom. 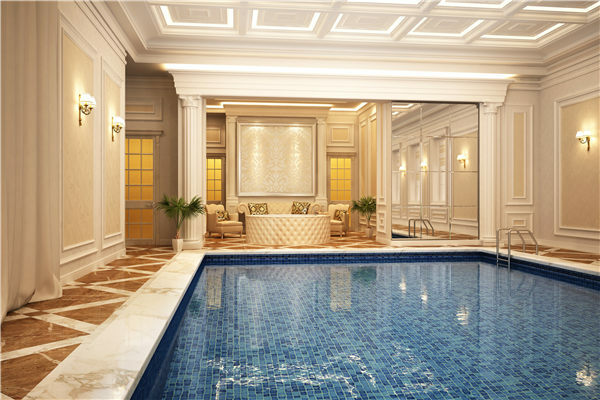 Bluwhale Tile, as a professional pool mosaic tile manufacturer, provides a wild and comprehensive assortment of high quality glazed mosaic tiles, glazed pool tiles. 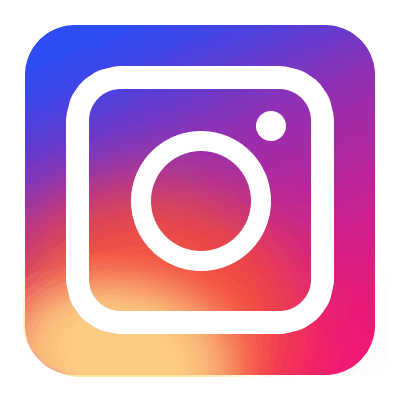 We’re looking forward to working with mosaic tile wholesalers and mosaic tile distributors . 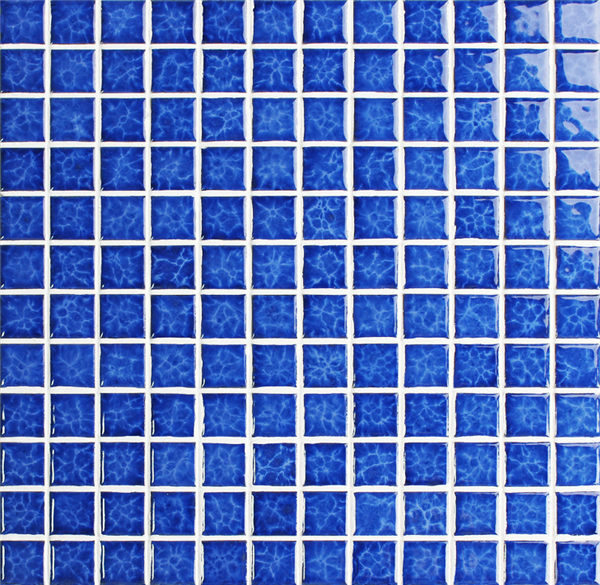 For more mosaic tile supplies, please feel free to contact us.